IRAN ACCUSES U.S. OF USING WEATHER WEAPONS -- a very insightful article by Kurt Nimmo at Infowars.com, reviews strong evidence of concerted weather manipulation on a major scale by powerful, diabolical, global powers. AND also, the great video of Alex Jones' interview of author Bob Fletcher. Note -- Fletcher and Jones go beyond the subject of weather to discuss other activities of the global elite. They do not discuss the real reasons as Psalm 2 and Daniel 2 do. I cite these Scriptures later on. Certainly seems as though the bad weather here in the U.S., is NOTjust Mother Nature run amok either. I'm convinced the Kings of the Earth and the Rulers cited in Psalm 2 are to blame. J. Edgar Hoover, who WAS THE FBI for half a century notes how very difficult it is for individuals to comprehend a conspiracy of monstrous proportions. 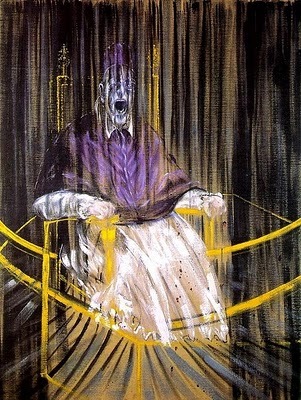 "The individual is handicapped by coming face to face with a conspiracy so monstrous he cannot believe it exists." -- J. Edgar Hoover. Psalm 2 shows just such a monstrous conspiracy -- and it is very real! It may be much easier to grasp the idea of global weather manipulation, FIRST, given the evidence, and, THEN, move on to believe what Psalm 2 is saying, geopolitically. NOTE - A Google Image search for HAARP (High-Frequency Active Auroral Research Program) will show pictures and details of some of the 48 or so arrays around the globe. 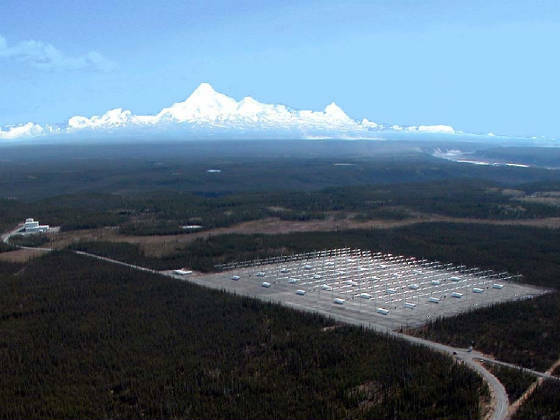 The HAARP array west of Fairbanks, Alaska is shown below. Obviously this is a globally coordinated, directed, financed, etc., activity. See also, YouTube video Weather Modification and Tornado Mitigation by Electromagnetic Satellite Beam. First 3 minutes of the 36 are good, rest, ok.
Daniel chapter 2 gives detail about two entities, termed, iron, and clay, showing demons are involved in Daniel's Fourth Kingdom, which we live in today. Notice that Jesus Christ is our only escape. 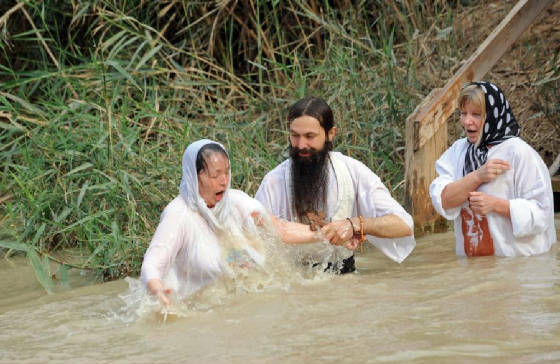 If you are not a believer see my page -- They Came to Jesus. For more detail on Psalm 2 and Daniel 2 see my pages Woodrow Wilson or Daniel's Fourth Kingdom. Seems we have a ringside seat for a major part of God's concluding action scenes of Earth history. OK, OK, so it is a somewhat scary. Sure looks like the Kings and the Rulers of Psalm 2 and Daniel 2 are using the "perfect storm" technique. Components of the "perfect storm" - war, famine, pestilence - possibly caused by terrible world economics. 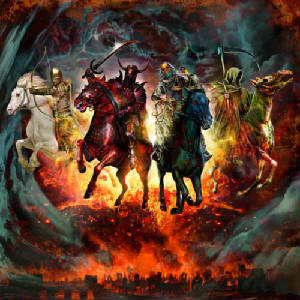 Reminds us of the famous Four Horsemen of the Apocalypse from Revelation chapter 6. Some tough times involved for those who live in that period. Many of us believe the Rapture will occur, the removal of believers from the Earth before things get too bad. But the salvation of God and rewards await them, as well as believers who are removed in the Rapture. But, seal #1, in that series, the rider on the white horse, is believed to be the Anti Christ. He will have tremendous powers of deception. I sight 2 Thessalonians 2, later, in this regard. 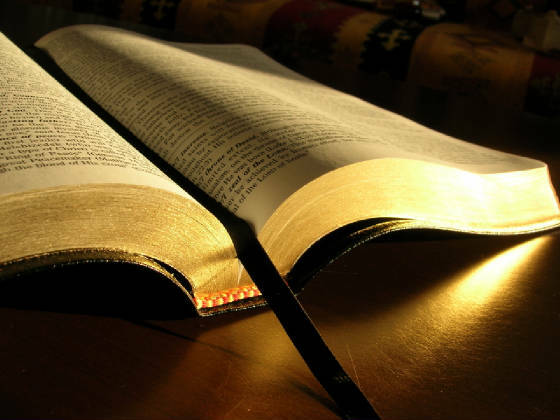 2 Thessalonians chapter 2 tells us about the "Man of Sin," who will, wrongfully, claim to be God, will sit in the New Jewish Temple, to be rebuilt in Jerusalem. Notice that God will send strong delusion on rejectors of his grace and truth.